Well the hardworking staff took a break last night to watch WBZ’s News at 11 and here’s how meteorologist Eric Fisher’s AccuWeather Forecast ended. 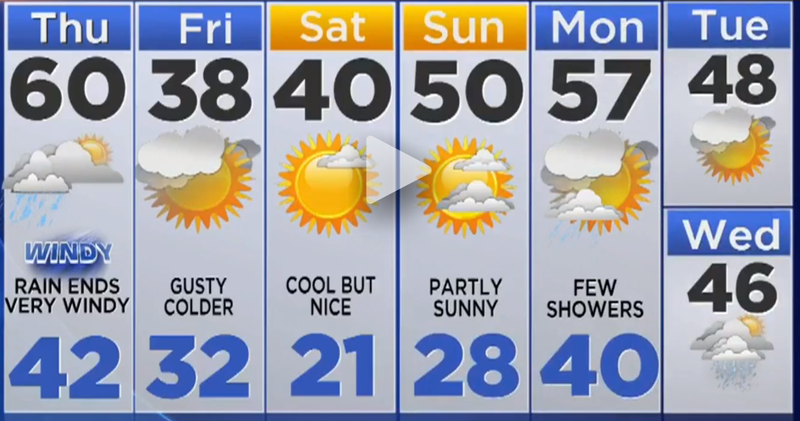 So here’s your AccuWeather 7 Day: Saturday 40 and sunny – Sunday we’re back up around 50 – final day of February closing in on 60 with rain showers on Monday, so David and Lisa – winter: we are just about to call it a season. Good lord, Eric: Have you never heard of a kenahora? Regardless, you just gave us one. This entry was posted in Uncategorized and tagged AccuWeather Forecast, Eric Fisher, kenahora, WBZ. Bookmark the permalink.